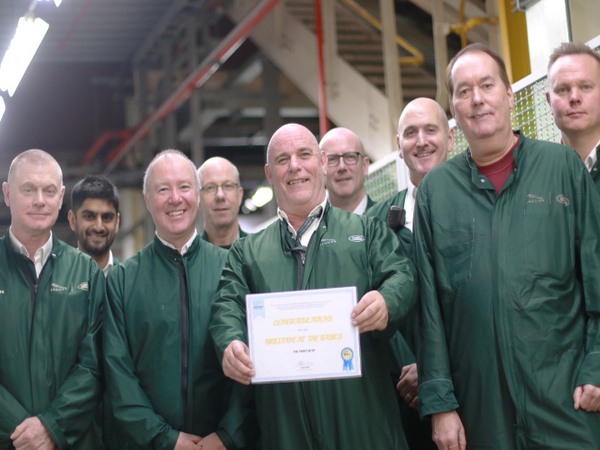 As the saying goes, ‘teamwork makes the dream work’ and Solihull’s Paint Shop have recently proved it right with their fantastic collaboration. They are the first whole technology for a manufacturing plant at JLR to score full marks at Brilliant at the Basics. This ranges from making sure Work Group Cubes are up to scratch, everyone working has had the correct training and everyone in the team has the right PPE. It’s not been easy to reach this milestone and to score full marks in 30 areas is no mean feat. It has been a great example of what can be achieved by working together. From Associates to Group Leaders to Business Excellence Coaches to Senior Managers, everyone has had their part to play. Vicky Foster, a GL from the PDC3 area of Paint was one of those going the extra mile. Sounds like some great team work. Each technology area at Solihull is currently working to implement Brilliant at the Basics and you can all play your part at making Solihull ‘brilliant’.